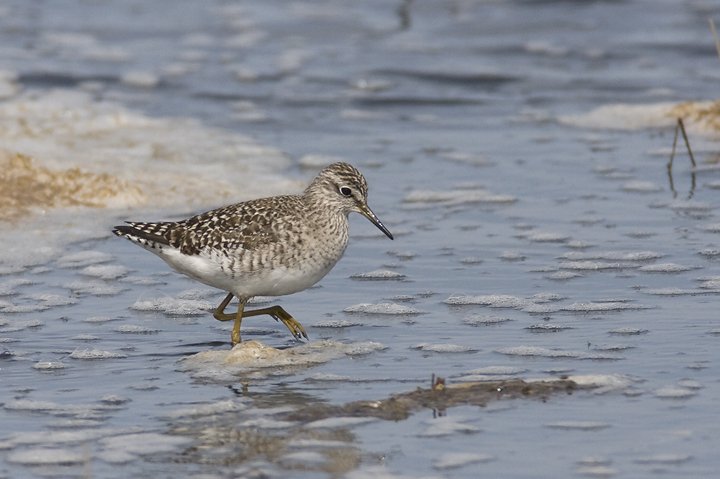 Mostly photos from Cape May County, New Jersey during the World Series of Birding. Last updated: 5/12/2008. 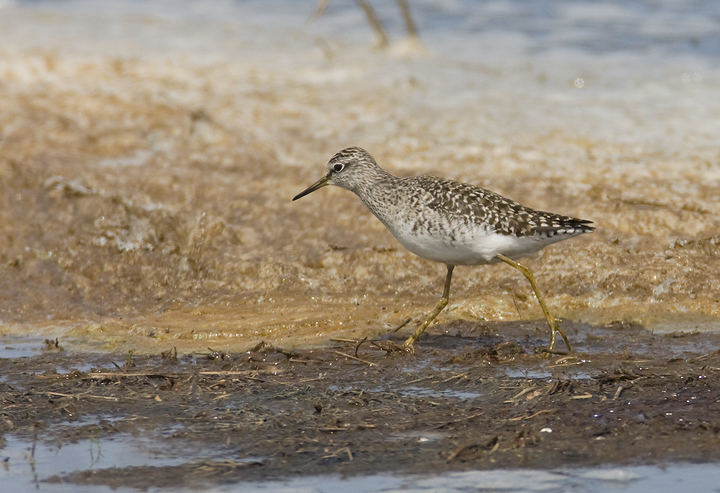 Above and below three: An incredibly rare visitor to the eastern U.S., a Wood Sandpiper. 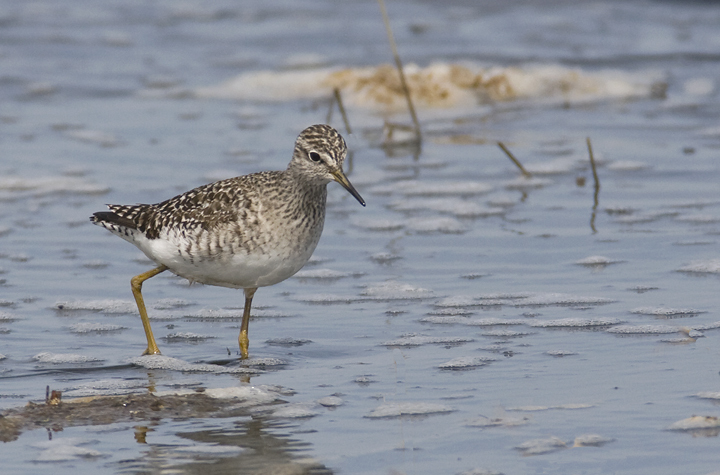 This mega-rarity was originally found by Sharon Lynn at Broadkill Beach in Prime Hook NWR, Delaware. My team from the World Series of Birding couldn't resist chasing it on our way home from the Series (5/11/2008). 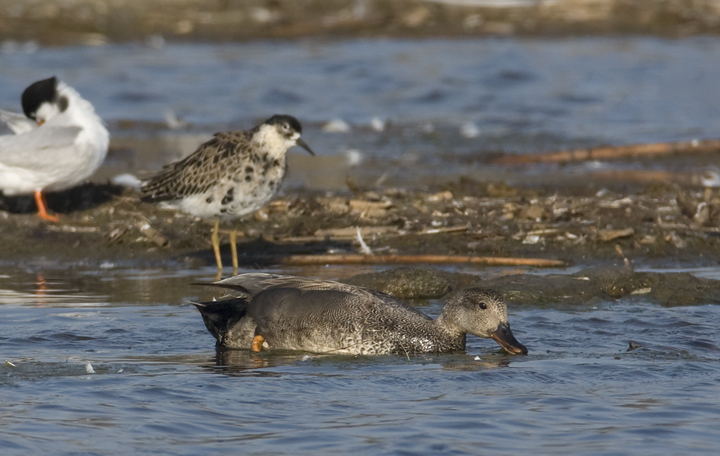 Below: A drake Gadwall at the Meadows in Cape May Co., New Jersey (5/7/2008). Below two: What's that? There's something else in the photo?? 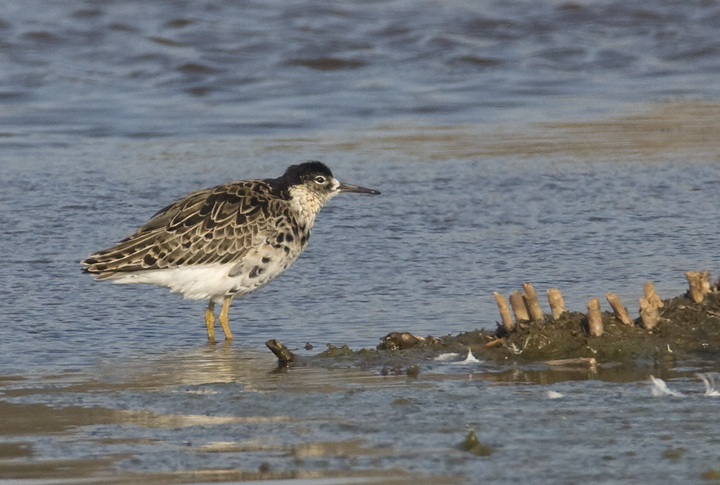 Oh yes, a young male Ruff! 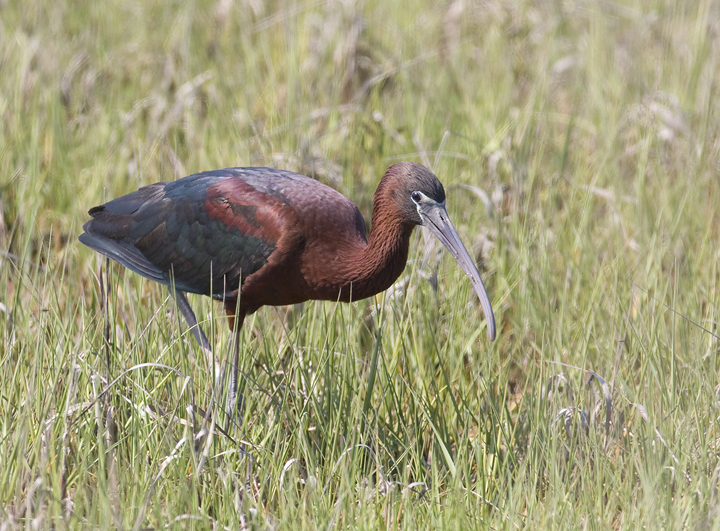 While scouting for the Series, I spotted this amazing bird at the Meadows, gasped, and began dialing members of my team. 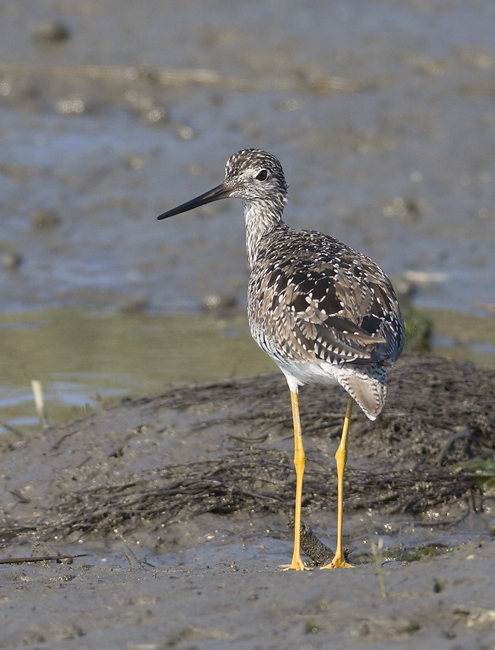 As I dialed, I noticed about ten people walking down the dyke toward me. 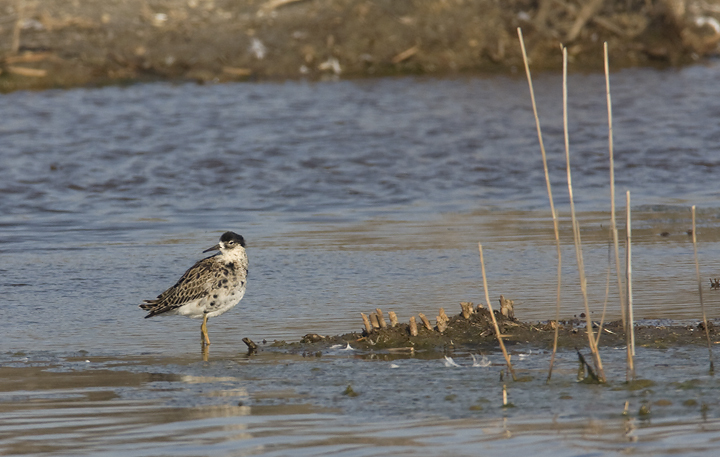 I asked the first person, "The Ruff has already been reported, hasn't it?" "Yeah, the word is getting out now." It was found by Cape May's Chris Vogel, who had actually already left me a message about it. Thanks, Chris. Below: Fortunately, I was able to return the favor with a similar call the next day. 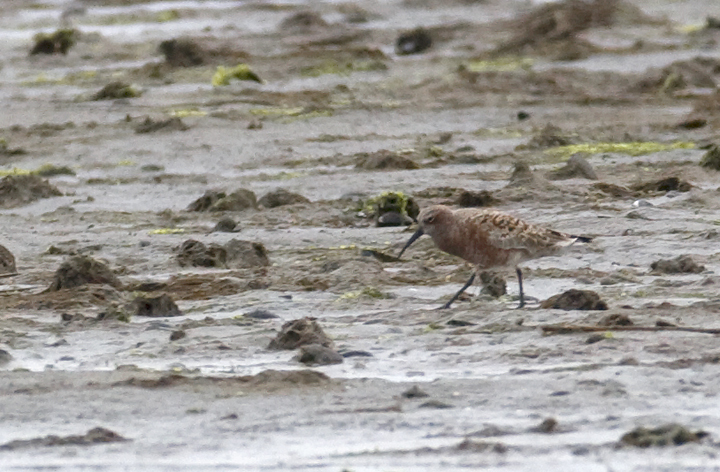 I found this Curlew Sandpiper on the mud flats north of Nummy Island (low tide) in Cape May Co., New Jersey (5/8/2008). Quite a high! 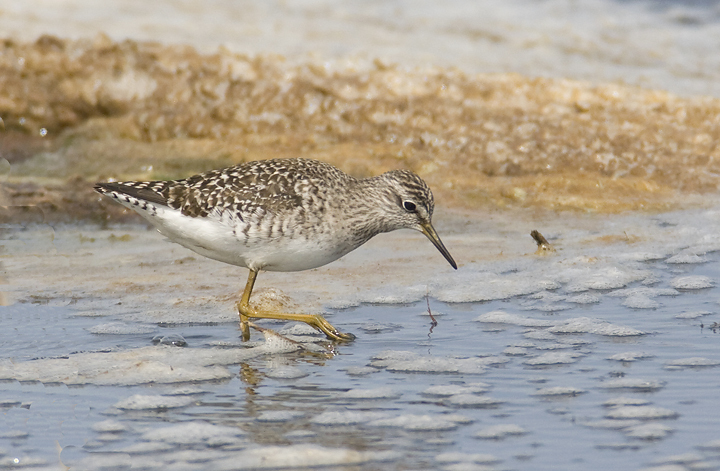 You can't ask for much better than three rare Eurasian shorebirds in five days. 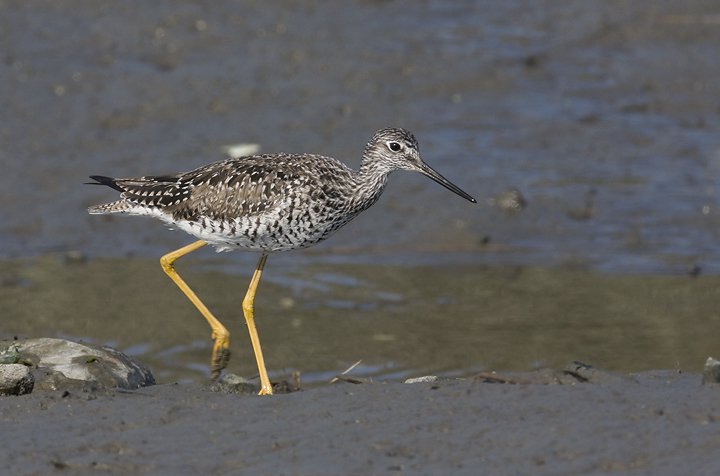 Below two: A Greater Yellowlegs in Cape May Co., New Jersey (5/7/2008). 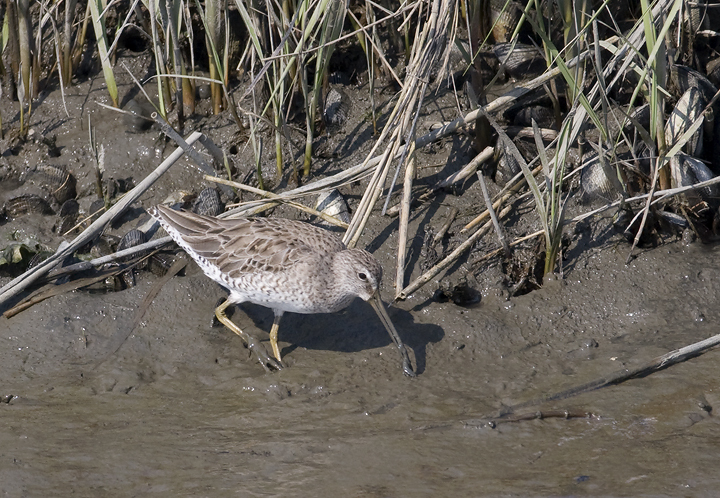 Below: A Short-billed Dowitcher in Cape May Co., New Jersey (5/7/2008). 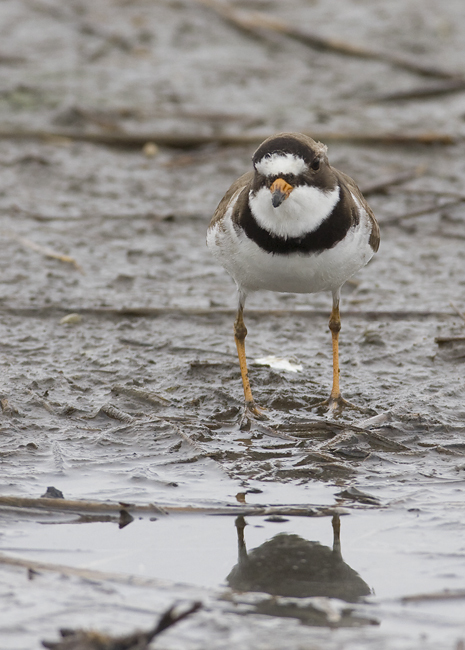 Below: A Semipalmated Plover forages on a mud flat near the Coast Guard Ponds in Cape May Co., New Jersey (5/7/2008). 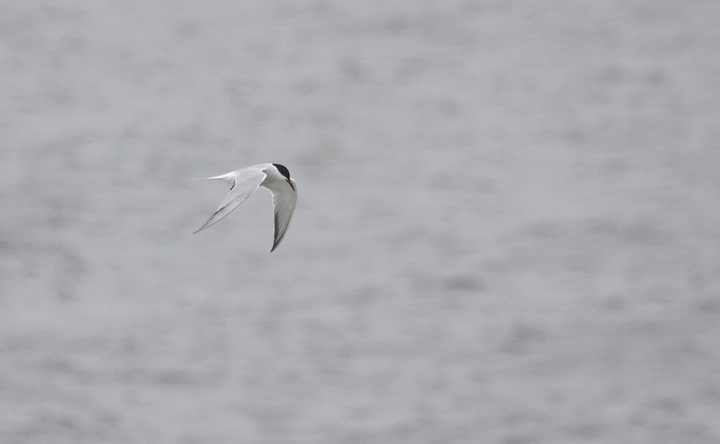 Below: A Common Tern hunting behind the Cape May-Lewes Ferry (5/11/2008). 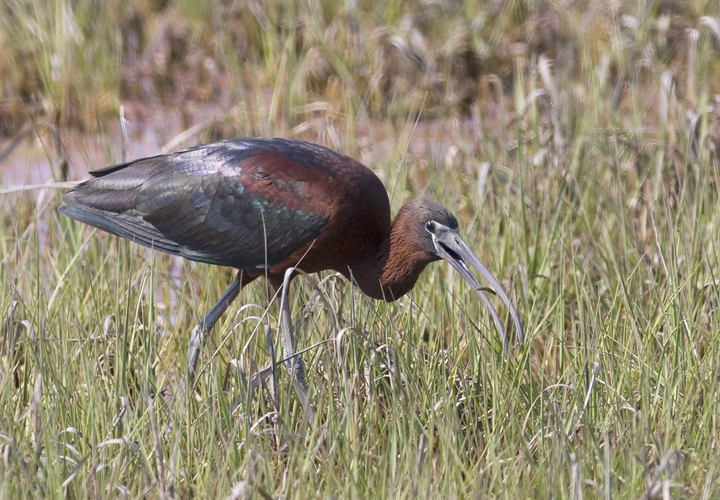 Below: A Glossy Ibis foraging in a marsh in Cape May Co., New Jersey (5/7/2008). 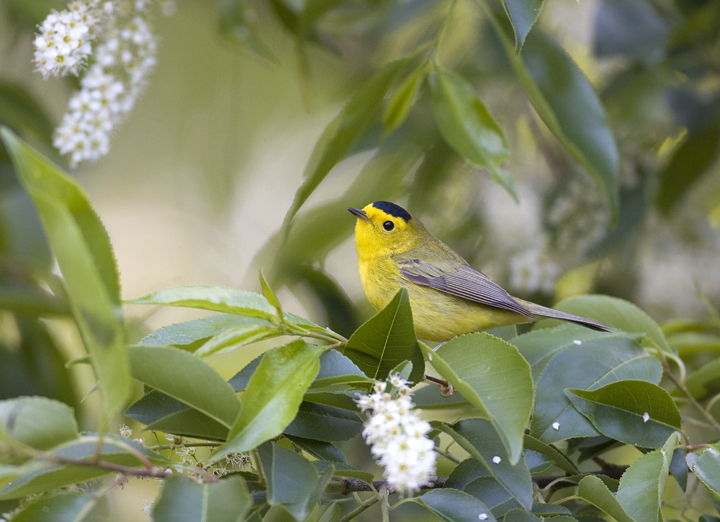 Below: A male Wilson's Warbler in our yard in Pasadena, Maryland (5/13/2008). 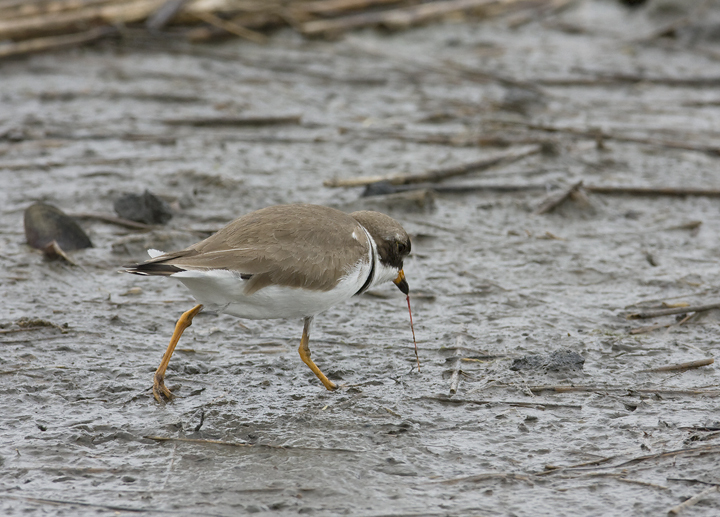 While the Maryland Yellowthroats were taking the Cape May-Lewes ferry home from the World Series, my fiancee Becky described to me a bird she'd just seen in our yard. It was an all yellow warbler with a roundish black cap. Having repeatedly learned to trust her sightings, I had my coffee outside this morning, and soon I heard several harsh chips from one of our hollies. This adult male Wilson's Warbler then hopped out and foraged in the open for a couple minutes.